On Thursday, April 25th, the Greenville City Schools Instrumental Music Program will hold its annual Instrumental Music Festival from 6 to 9 p.m. in the Greenville Senior High School gymnasium. The Festival is free and open to the public. Please come celebrate with the Instrumental students as they show their community what they have learned and prepared this school year. Performances will include the orchestra and band from the 5th and 6th grade, Junior High, and Senior High. The Jazz Scene will also perform. In connection with the Festival, the Instrumental Music Boosters will host a BBQ Dinner in the Greenville Senior High School cafeteria. They will serve meals from 5 to 7 p.m. to those who have pre-ordered tickets and anyone who would like to purchase meals at the door. Customers have the choice of either a chicken (includes 1/2 a chicken) or a pork chop (includes 2 pork chops) meal. Both meals come with applesauce, a roll with butter, and chips. There are a limited number of extra dinner tickets available on a first come first served basis. Meal tickets are $8 a piece. Drive-thru pickup is available for those who have pre-ordered tickets. The Instrumental Boosters will also be selling desserts and drinks in the cafeteria. Anyone is welcome to come to the cafeteria and purchase a dessert or a drink. Proceeds from the BBQ will help purchase new instruments and music, repair current instruments, and fulfill other needs in the Instrumental Music Program. 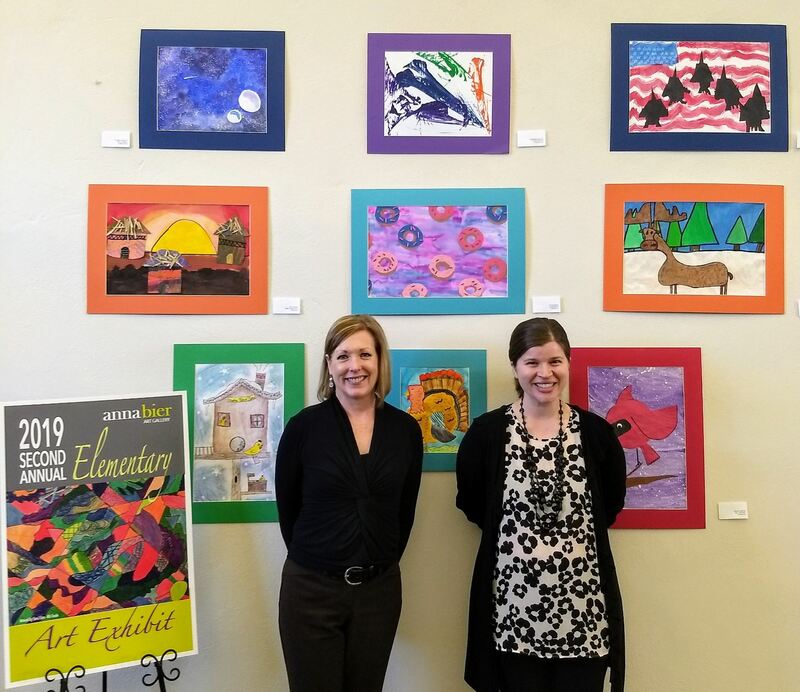 The Greenville Public Library is proud to host the 2019 Second Annual K-6 Elementary Art Exhibit in the second floor Reference Room. This exhibit first hung in the Anna Bier Gallery and will be in the Library the month of April in case you missed it. An additional six pieces are displayed in the cabinet on the landing between floors. Art teachers from Darke County public schools, DeColores Montessori, St. Mary’s School and the local home school community were invited to creatively challenge their students with varying art projects over the past few months. Each teacher was then asked to select and submit the best works from their students to be juried in the Anna Bier Gallery Elementary Exhibit. Certificates and cash prizes were awarded. Librarians Deb Cameron and Candace Henne have partnered with Tamera McNulty of the Anna Bier Gallery to host this and future exhibits. Take a minute to stop by and enjoy these colorful and original works by our up-and-coming young artists! Marshall, Dev Valera, Caitlyn Warner, and Julia Yohey earned t-shirts for their efforts in learning the facts. Aubrey Baumgardener, Allison Bolin, Avery Brown, Braylon Byers, Braydon Comer, Haven Marker, Maria Schmitmeyer, Clyde Slayback, Audrey Swiger, and Landen Unger in Mrs. Holm’s room are also having the “times” of their lives as they successfully know their multiplication facts. Who was Johnny Appleseed? You’ve heard the folklore...now meet the real man! 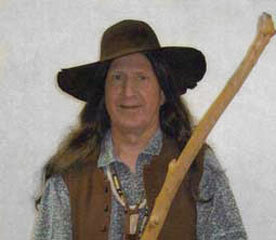 Join us for a Living History Production as Kenneth Hammontree portrays Johnny Appleseed. Learn about his life and journey crossing Ohio and Indiana and his legacy of the apple trees he left behind. For more info see http://livinghistoryproductions.net. This event is sponsored by the Greenville Public Library but held at the Brethren Retirement Community Brick Room on Friday April 26th at 2:00 p.m. Everyone is welcome! 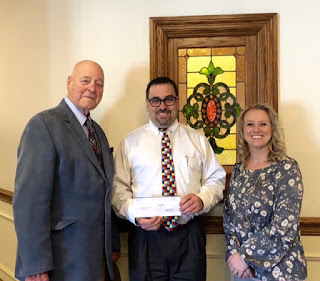 Brethren Retirement Community accepted a generous donation from Zechar Bailey Funeral Home for their ongoing Capital Campaign. Some of the projects that will be accomplished as a result of this project include renovation of the Rosewood Health Center and their "Second & Main" project which will include an enlarged Senior Fit Gym, a theater, ice cream parlor, computer center, family visitation room and our resale shop. Thank you! Brethren Retirement Community could not do all they do for their residents without generous donors like Zechar Bailey Funeral. Left to Right: Fred Bernhard, Chairman of the BRC Board and Campaign Co-Chair, Greg Zechar, Manager of Zechar Bailey Funeral Home, Holly Hill, Chief Marketing Officer at Brethren Retirement Community. On April 25 at 4:00 PM, Brethren Retirement Community will host “Welcome to Medicare Event” presented by the Ohio Senior Health Insurance Information Program (OSHIIP), a service of the Ohio Department of Insurance. OSHIIP staff are trained by the state and do not sell or promote any insurance companies,policies or agents. They just present the facts that concern Medicare and answer questions. If you or a loved one are going to be eligible for Medicare soon or if you are on Medicare but still have questions or if you help someone with Medicare issue, then this FREE informative event is for you! You will learn about Medicare Part A and Part B benefits, the prescription drug benefit (Part D), Medicare Advantage plans, and Medicare supplement insurance. Light refreshments will be served. Reservations required. This year, the Greenville Church of the Brethren decided to do things a little different for their Sunrise Service. Instead of meeting at the church building, they have decided to greet Easter morning this year where the most important part of the Easter Celebration happened – in a cemetery. 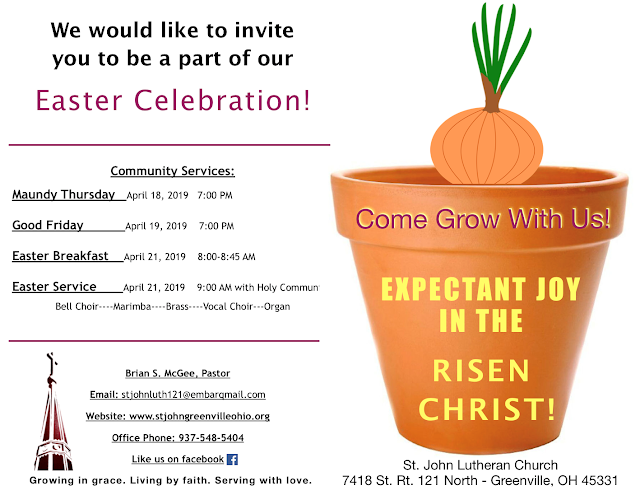 Everyone is welcome to join the church in this celebration at 8:00 AM on April 21 at the Greenville Union Cemetery at 200 West Street in Greenville. Participants are encouraged to bring their own chairs. In case of rain, the service will be moved inside the Mausoleum. Directions: Enter the cemetery from North Main Street. Go under the archway. Take first right and park near the Mausoleum. A breakfast will follow the service at 9:00 AM at the church building at 421 Central Avenue in Greenville. 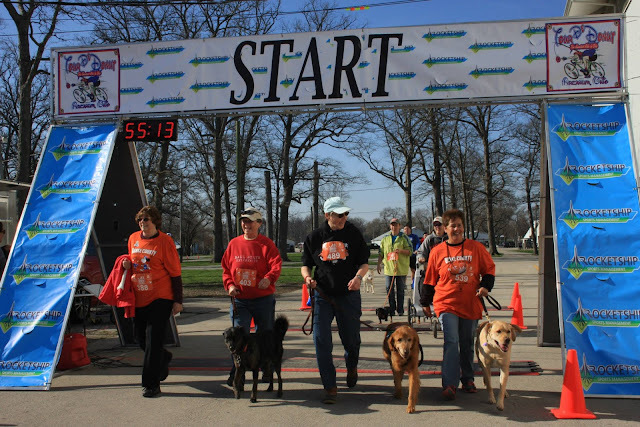 GREENVILLE - The Darke County Friends of the Shelter are sponsoring their annual 5KRun/Walk for Scentral Park dog park on Saturday, April 20th, beginning at 9a.m. at the Darke County Fairgrounds. This race encourages you to bring your dog as a participant along with you. If you don’t have a dog you can still enter. Medals will be awarded to those racing with dogs as well as those racing without. A free Kid’s Fun Run will be at 8:30a.m. Free online registration can be found at www.gtraces.com. Same day registration begins at 7:30a.m. at the fairgrounds. 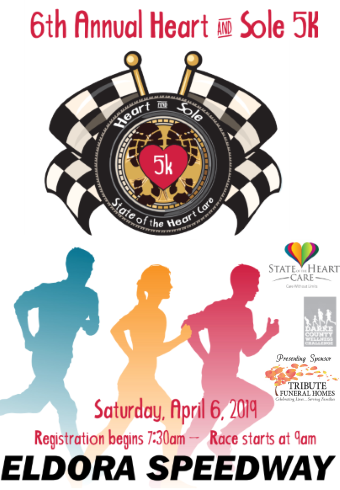 ALL of the proceeds from this race go toward the maintenance of and improvements to Scentral Park Dog Park located at 5066 County Home Road, Greenville, OH, next to the Animal Shelter. used. Scentral Park is maintained and improved through the monies raised by this 5K race. For more information please contact scentralpark5k@gmail.com. Race information is also available inside the Darke County Animal Shelter and at www.facebook.com/shelterfriends5krace. 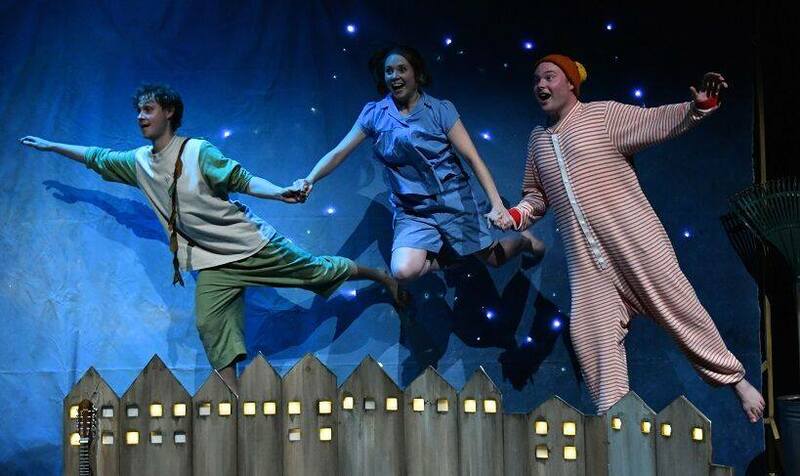 Darke County Center for the Arts will present Underneath a Magical Moon, a retelling of the Peter Pan tale from the perspective of an up-to-date Wendy Darling, on Sunday, April 7 at Henry St. Clair Memorial Hall in Greenville; the last presentation of DCCA’s 2018-2019 Family Theatre season, the show starts at 2 p.m. From Tutti Frutti Productions, a children’s theatre company based in the U.K., the show has won highly positive response in its native land, and is now touring internationally. 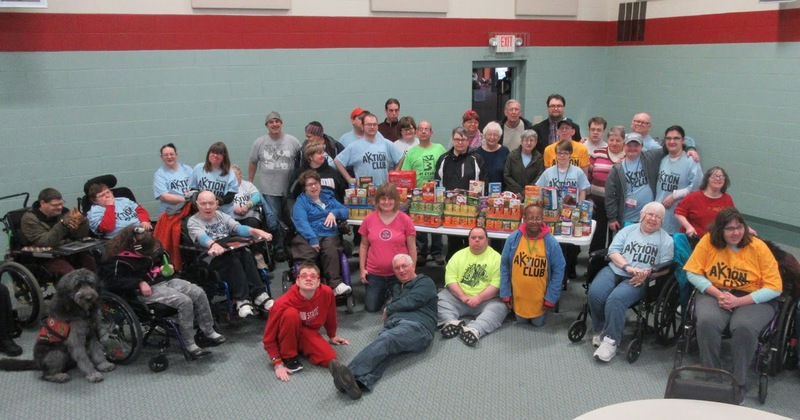 Darke County Center for the Arts recognizes the Ketrow Foundation for their support of DCCA’s programs for children. “DCCA is pleased to receive continual generous support from community organizations such as the Ketrow Foundation. 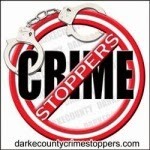 With their assistance we are able to fulfill our mission of cultural enrichment for the community,” stated Andrea Jordan, DCCA Executive Director. Featured productions in the 2018-2019 season include comedic juggling performance of Playing By Air on November 18. Mermaid Theatre of Nova Scotia’s glowing production of Rainbow Fish, based on the classic children’s book, on Sunday, February 10, and on Sunday, April 7 Underneath a Magical Moon from Tutti Fruitti Productions, a re-imagining of the Peter Pan tale as it would be told by Wendy. All three performances will be on Sundays starting at 2 pm, at St. Clair Memorial Hall. Thanks to continued community support, ticket prices have remained at $5 since the first Family Theatre Series performance in 1997. DCCA Arts In Education programs for 2018-2019 season included Kathakaar (grades K-3) "The Spinning Storytellers" sharing history and culture of India. Lee Murdock shares music and history of the Great Lakes (grades 4-6); Alpin Hong (grades 7 & 8) a Darke County favorite, returns bringing his own "pianistic firebrand" to St. Clair Memorial Hall; and Jonathan Kingham (grades 9-12) shares creative songwriting. In addition to performing for Junior High students, Alpin Hong was also presented as part of the DCCA Artists Series. Arts In Education artists are generally in residence for a week as they tour all of the eight public school districts in Darke County. These programs are open to the public; contact the DCCA office for more information. Tickets for Underneath a Magical Moon cost just $5, and may be obtained by contacting DCCA at 937-547-0908; tickets are available online at www.darkecountyarts.org and will also be sold at Greenville Public Library, Readmore’s Hallmark and Darke County Welcome Center in downtown Greenville, Worch Memorial Library in Versailles, and will be available at the door if any remain by showtime. For more information on Darke County Center for the Arts contact the DCCA office at (937) 547-0908 or visit our website www.DarkeCountyArts.org. The Blue Angels 4-H Club held a club meeting March 28, 2019 at the First Baptist Church in Greenville. President Blake Addis called the meeting to order. Community Service announcement reminded members of the upcoming Trash Bash and to continue to collect plastic tops for a commemorative bench. Health and Safety Officer Julia Raffle presented tips on online safety. Members were reminded that April 27 will be the 4-H day at the Dayton Dragons baseball game. Members votes on this year’s fair booth and float theme. 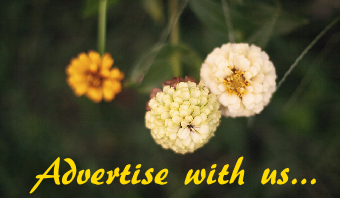 Members were reminded to review the on line e-clover newsletter for county 4-H news. The Club voted to sponsor 2 trophies for this year’s projects. Members were informed of new committees available for this year and were able to sign-up if interested. 2019 Members books were distributed. Members registered for projects for the 2019 year. Members will be meeting on Monday, April 22, 2019 at 6:30 pm at McBo’s Lanes for bowling and pizza. Submitted by Tyler McKinniss, April 7, 2019. Darke County Center for the Arts will present guitarist/singer/songwriter Diana Chittester at The Coffee Pot in downtown Greenville on Thursday, April 25; the final presentation of DCCA’s 2018-2019 Coffeehouse Series season, the show starts at 7 p.m. “Diana blends intricate finger-picking guitar style with her intelligent, articulate lyrics to share captivating stories in her songs,” stated DCCA Artistic Director Keith Rawlins. 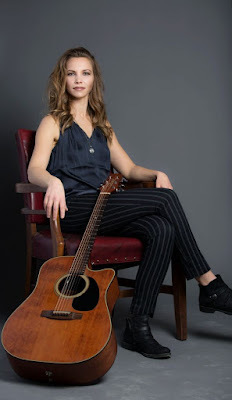 “Even though this is an acoustic solo performance, audiences will be amazed at the raw yet elegant power Diana brings to her concerts, her natural versatility and wide vocal range making her delivery exceedingly appealing and listenable,” Rawlins said. The Cleveland-based artist has been described as “kinda folk with a funky punk edge,” and compared to singer/songwriters Joni Mitchell and Ani DeFranco. According to Mr. Rawlins, Diana Chittester developed her signature guitar style by imitating a three-piece band while touring as a solo performer. “Her unique sound utilizing percussive thumping, popping bass lines, and melodic picking patterns garnered attention, enhancing her stature as she gained acclaim around the country,” Rawlins remarked. 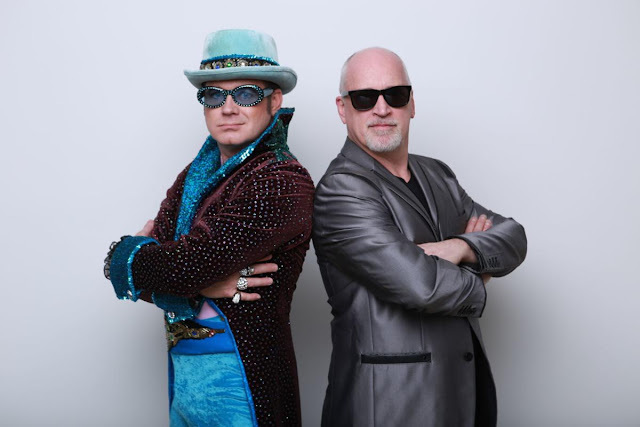 DCCA’s Coffeehouse Series which presents artists performing in an inviting social setting where food and drink are also available is sponsored by Rodney Oda, Steve and Eileen Litchfield, and The Andersons. Additionally, the Ohio Arts Council helps fund this program with state tax dollars to encourage economic growth, educational excellence and cultural enrichment for all Ohioans. DCCA also receives operating support from the Harry D. and Esther Stephens Memorial as well as funding from the Ketrow Foundation, Lydia E. Schaurer Memorial Trust Fund, and the John R. and Miriam H. Knick Fund of Darke County Foundation. DCCA membership contributions also help support this series. Tickets for this concert by Diana Chittester are $10, and can be purchased by contacting the DCCA Office at 937-547-0908 or dcca@darkecountyarts.org; tickets are also available at The Coffee Pot, online at www.darkecountyarts.org and will be sold at the door if any remain by showtime. 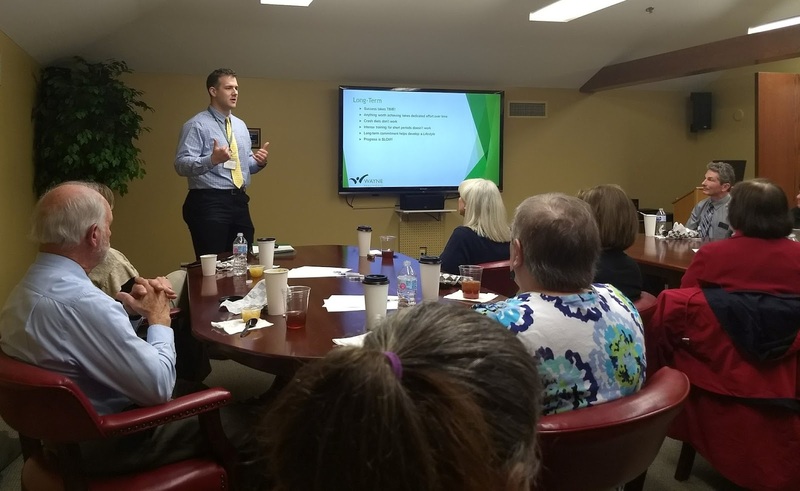 The Greenville Public Library’s April Lunch & Learn will feature Jordan Francis speaking on "Finding Satisfaction: Creating Effort Based Rewards Systems." Lunch is noon Wednesday April 17th. Please register at 548-3915! 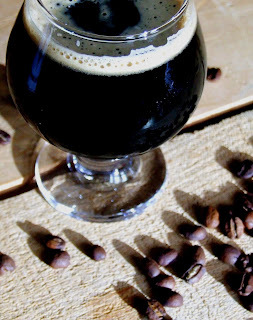 As we will discuss in this class, brewing malt undergoes some of the same processes and flavor transformations as coffee beans do when they are roasted, leading to many complementary flavors between them. In this class, Certified Cicerone David Nilsen will talk about the variety of coffee beer styles and walk attendees through a tasting of 5 unique examples. These Craft Beer Education Series classes will be held on April 18th and May 2nd (identical classes). These classes are free, but seats are limited and registration is required. 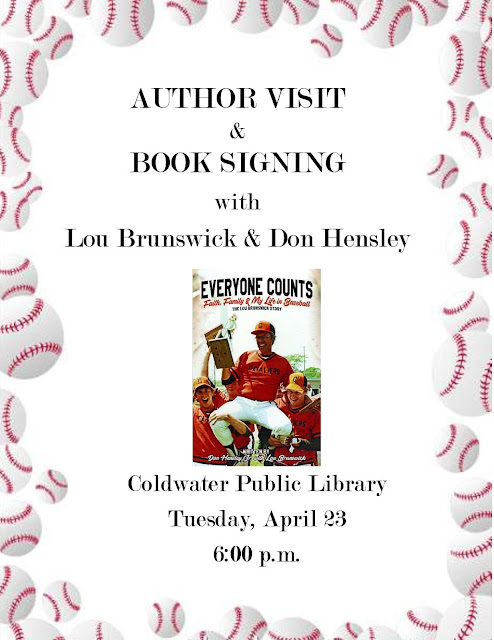 Please call the Greenville Public Library at 937-548-3915 to reserve your seat. We hope to see you there! The Greater Greenville Ministerial Association is sponsoring Good Friday services on April 19, 2019, from 12 noon to 2 p.m. We will follow Christ as he made his way to the Cross down the Via Dolorosa beginning with the first station where he was condemned to die. Join us as we walk and pray the steps that Jesus took to Calvary. We begin our journey at St. Mary’s Roman Catholic Church and will end at St. Paul Lutheran Church. You are welcome to join us at any stop along the journey. Please note the various locations and times of each station are approximate. God has done so much for us as God poured His love and grace upon us through Jesus Christ, His Son, at the Cross. Begin your Easter holiday weekend with an experience you won’t forget. Englewood, Ohio – Looking for something fun and educational for your 6th-10th graders this summer? Check out one of the exciting camp options offered at MVCTC! For full details on all offerings, please visit www.mvctc.com/camps. Lunch is provided each day and students will receive a camp t-shirt. Career Camp, June 3-5, 2019, 8:30 a.m. - 3 p.m. for students entering 8th, 9th, and 10th grades. Career Camp is a three-day career exploration program designed to give students hands-on experience in various MVCTC career technical programs. The goal of the camp is to help students begin to make career decisions for their future with the help of highly qualified career technical instructors and current students! Explore Careers in Agriculture, Arts, Construction, Culinary Arts, Healthcare, Information Technology, Manufacturing, Public Safety, and Transportation Systems. Registration is $50 if your child attends one of MVCTC’s partner school districts or $75 if not attending a partner school district. Robotics Camp, June 5-7, 2019, 8:30 a.m. - 3 p.m. for students entering 7th, 8th, 9th, and 10th grades. Spend three days learning to design, build, and program a VEX Robot. This camp will give students the opportunity to work in teams, problem-solving, and designing a robot to operate in competitions at the end of camp. Highly qualified MVCTC Robotics and Physics instructors, as well as current MVCTC students, will work with the campers to develop exciting projects. Registration is $50 if your child attends one of MVCTC’s partner school districts or $75 if not attending a partner school district. STEM Camp, June 10-14, 2019, 8:30 a.m. - 3 p.m. for students entering 6th, 7th, and 8th grades. STEM Camp, is a one-week program for students interested in Science, Technology, Engineering, and Math! Students will explore two career programs over the five-day camp with hands-on classroom activities that encourage problem-solving and critical thinking. Highly qualified MVCTC instructors, as well as current MVCTC students, will work with the campers to develop exciting projects! Explore Careers in Biotechnology, Culinary Arts, Graphic Arts, Firefighter/EMS, Natural Resources, Robotics, and Sports Medicine. Registration is $75 if your child attends one of MVCTC’s partner school districts or $100 if not attending a partner school district. COLUMBUS, OH – For many hunters, spring brings the unmistakable sound of gobbling wild turkeys as Ohio’s annual hunt of this popular game bird begins, according to the Ohio Department of Natural Resources (ODNR). 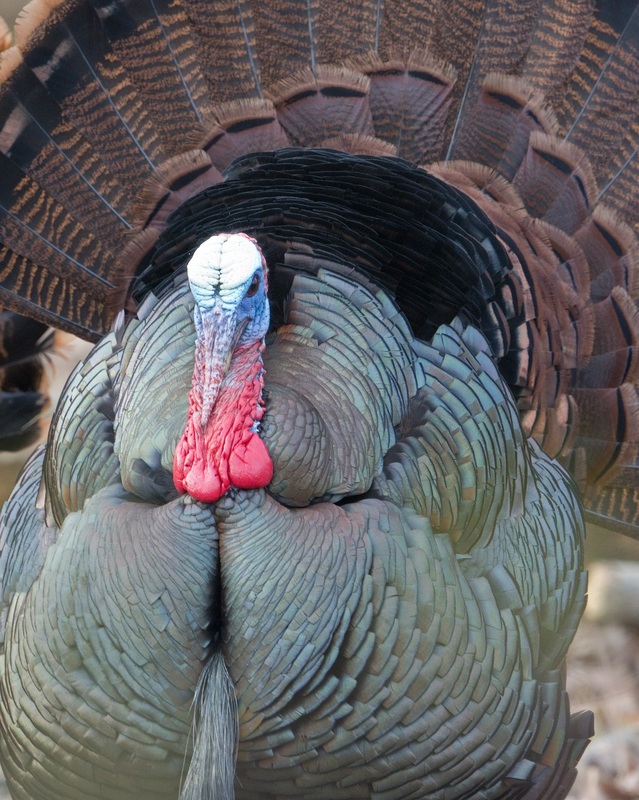 The state is divided into two zones for the 2019 spring turkey hunting season: a south zone, which opens to hunters on Monday, April 22, and a northeast zone, which opens to hunters on Monday, April 29. The youth wild turkey season will occur on Saturday and Sunday, April 13-14. Hunters can view the 2019 spring turkey season zone map at wildohio.gov. The ODNR Division of Wildlife anticipates approximately 50,000 licensed hunters will enjoy Ohio's popular spring wild turkey season before it ends on Sunday, May 19, in the south zone, and Sunday, May 26, in the northeast zone. The spring and youth turkey seasons are open statewide, except for Lake La Su An Wildlife Area in Williams County, which requires a special hunting permit. Poultry Days will offer two of the largest parades in the county again this year. The Grand Parade will be held at 11:00 am on Saturday June 15th. Awards will be given for Junior Civic, Senior Civic, Commercial, Theme Award, Queen’s Trophy, Mayor’s Trophy and Chairman’s Choice. The deadline for registering for the Grand Parade is May 20th. For Grand Parade registration information, go to Activities at Versaillespoultrydays.com or email poultrydaysparade@yahoo.com. The Antique Car Parade will be held on Sunday, June 16th at 2:30 pm. Registration for this parade is $8 and will be at the corner of Virginia & South Center St. from 10:00am to Noon the day of the event. The parade will be preceded by an antique vehicle display which will be held on S. Center Street adjacent to the festival grounds. Entrants will receive a chicken dinner ticket and parade plaque. Vehicles must be at least 20 years old. Details for this event can be found on our web site or email pdaysclassiccarparade@yahoo.com. The festival will also include an antique tractor display on the grounds. The 68th annual Versailles Poultry Days will be held June 14, 15 and 16th with a festival theme of “Rock N Roll All Nigh & Poultry Every Day”. Please visit the website, versaillespoultrydays.com, for more event details and schedules. 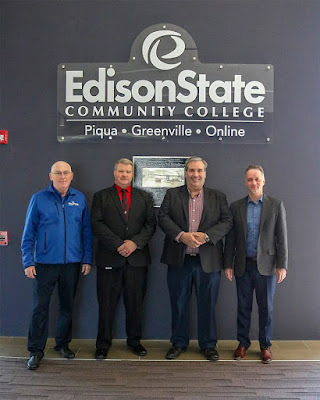 The Darke County Historical Society’s Heritage Award was created in 2004 to recognize distinguished citizens or organizations for their outstanding contributions or actions of unusual excellence that help connect people to Darke County’s past. Dr. Clay Johnson, CEO of the Garst Museum, notes, “For those familiar with the area, Darke County is rich in its history and traditions, and its significance touches so many in the community. The Darke County Historical Society (DCHS) recognizes this importance and feels its responsibility is to honor those that join in its mission in celebrating the county’s past.” The DCHS operates the Garst Museum according to its mission to collect, preserve, exhibit, study, and interpret materials relating to the history and culture of Darke County. This year’s Heritage Award goes to the Fort GreeneVille Chapter of Daughters of the American Revolution. The Fort GreeneVille DAR chapter was organized in January 1922. Over the years, the chapter has flourished and received high honors for its work in various areas that the DAR stands for. Honoring patriots of the Revolutionary War, the women’s service organization promotes historic preservation, education, and patriotism. Today, the chapter has 61 dedicated members that own the Studebaker Schoolhouse, the first brick school house erected in 1840 in Darke County. The school house was gifted to the DAR in 1934, and the chapter has maintained the grounds and school as a beautiful entrance to Greenville on St. Rt. 49. The DAR is very active in the county searching for the gravesites of Revolutionary War veterans. Over 20 Revolutionary War patriot graves in Darke County have been identified with grave markers or rededicated since 2016 with more to come. The members donate their time and money to preserve veterans’ uniforms and memorabilia in the Veterans’ Building at the Darke County fairgrounds. They have encased 31 uniforms over the past two years. They help organize and participate in Veterans Day parades and activities. This past December, they participated in Wreaths Across America at the Greenville-Union Cemetery and placed approximately 300 wreaths on veterans’ graves. The chapter has donated countless genealogical and historical books to local libraries and presents historical programs at local schools. Sustaining its legacy, the organization continues to accomplish its mission with such high integrity. 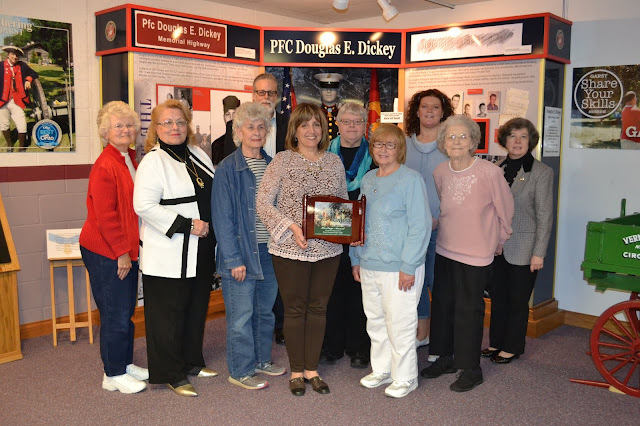 It is with great appreciation that Garst Museum recognizes the members of the Fort GreeneVille Daughters of the American Revolution and honors its members with the 2019 Heritage Award for their dedication in preserving history, promoting education, and honoring patriots. 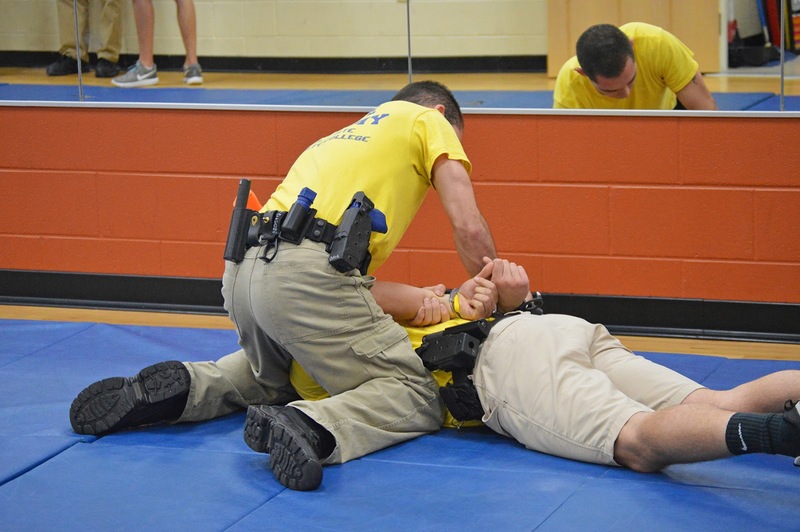 The Ohio Peace Officer Training Academy at Edison State Community College is now accepting applications for the 23-week program that will prepare students for a career in law enforcement. Completed applications must be received by May 28. Physical assessment tests may be completed on either May 30 from 1-4 p.m. or May 31 from 9 a.m.-12 p.m., with the academy running from July 8 to December 21, 2019.